When Gene was recreated by JAMIEshow a couple of years ago, she came with two new awesome innovations. First was the rooted wigcaps, which are genius! I can't get enough of them. 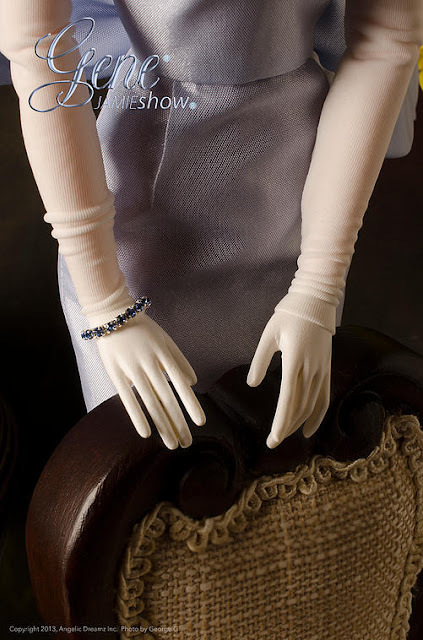 The second one was changeable hands, including colored hands and lycra "gloves"
"Phoenix" came with white gloves. 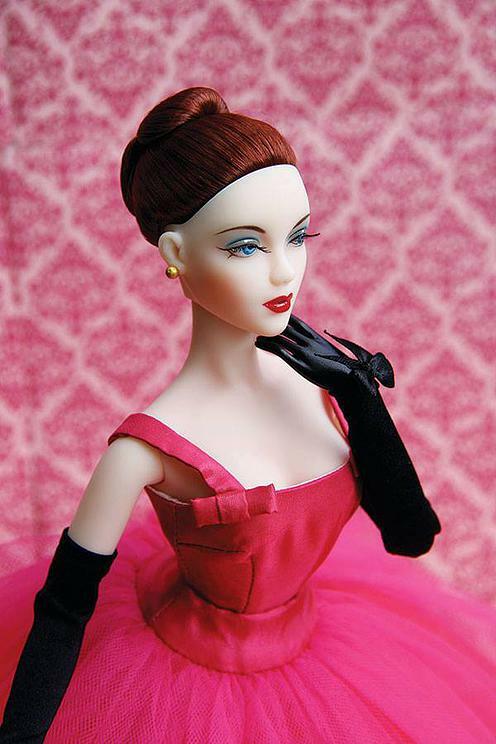 J'Adore came with black gloves. The lycra "gloves" that came with the dolls are very long and look great with eveningwear, but I felt there might be some interest in some shorter "gloves"
Style 1 is the shortest glove. It can also be used as a sweatband when Gene exercises. Style 2 comes almost to the elbow, and fits the arm snuggly. Style 3 is a gauntlet style. To purchase these gloves, click here.